The guys wouldn’t come near me, but when Frank asked me to dance at the picnic, and then he asked me if he could have a date, I said OK. We had a date to go to Radio City in New York, and that was terrific because you didn’t get to the city too often. It was too expensive. We dated for two years. Then we got married on July 11th, 1937, and we settled on Staten Island. Your grandpa wanted to learn English, but he didn’t want it like most of the Italians. They kind of half learn, and the words are half Italian and half English. He wanted to sound like an American who was born here. I want it all. I keep moving and keep the brain active. That’s why I keep registering for classes every term… I always tell to people, ‘Life is short. Eat dessert first!’ That’s my motto—but always in moderation. 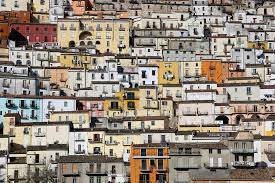 Calitri, a town and comune of 5,292 inhabitants situated in the province of Avellino, Campania, Italy. 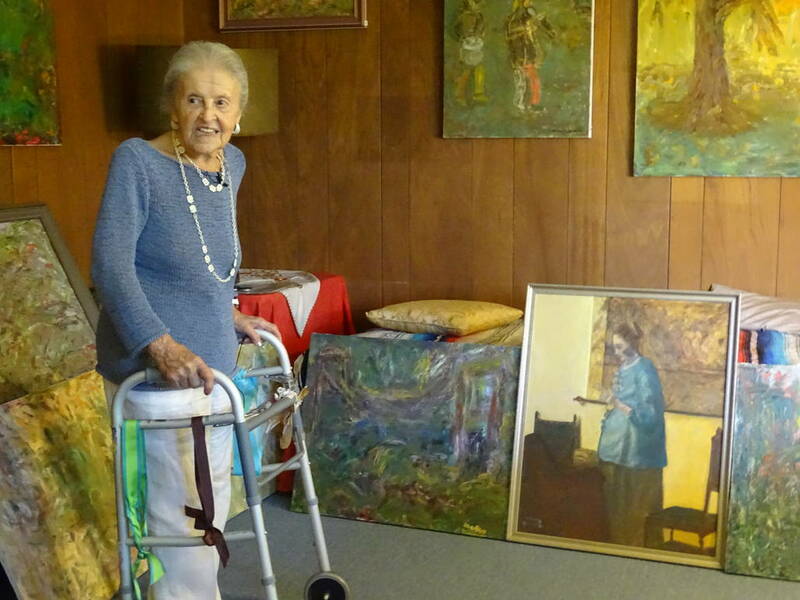 Meet artist Margaret Ricciardi, born 103 years ago in Brooklyn to immigrants from Calitri (Avellino). Joining her in as she recounts her family memories and her life as an artist, is Margaret’s niece, Laura Erikson. 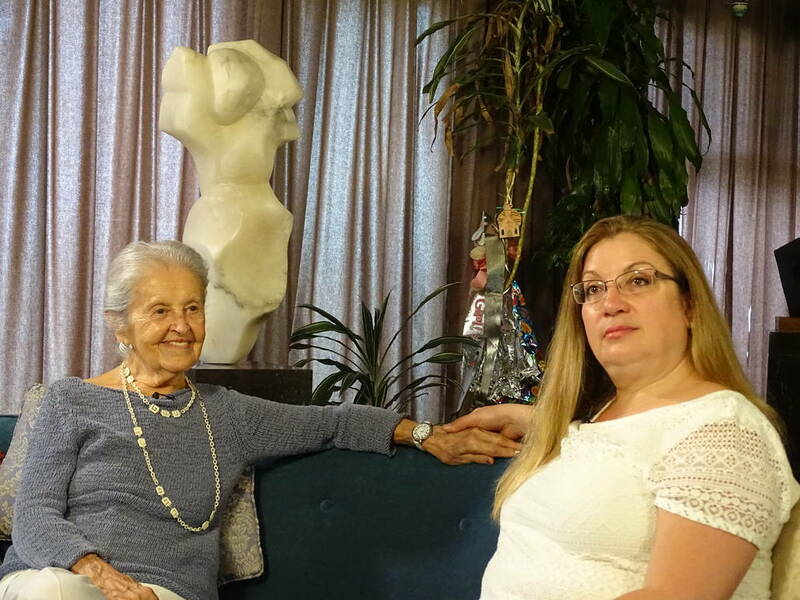 This interview is a preview, part of the Second Season of the I-ITALY TV SERIES "Grandparents and Grandchildren in Italian America." And stay tuned for the full video. 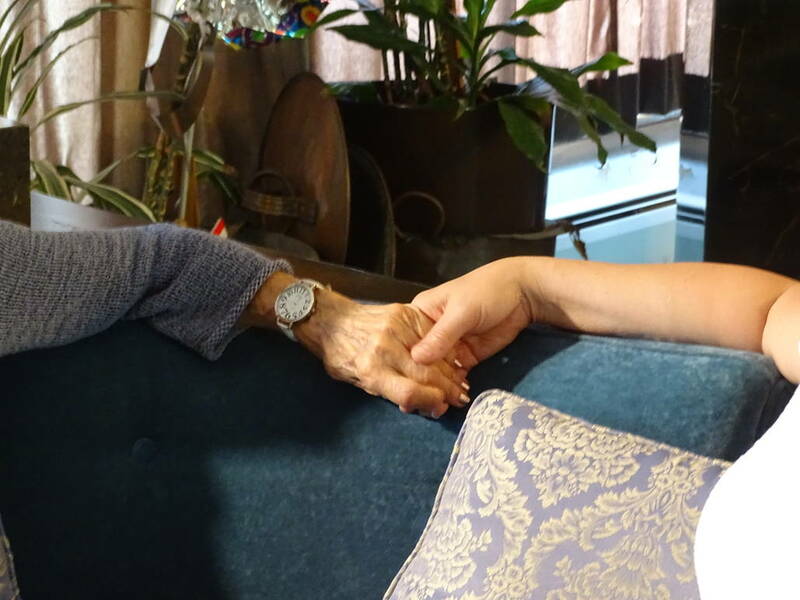 Born 103 years ago in Brooklyn to immigrants from Calitri (Avellino), artist Margaret Ricciardiaccepted to be featured as the grandma in the first episode of our new TV series “Grandparents and Grandchildren in Italian America.” Here she talks to her granddaughter Laura Erikson, touching upon everything from the original family business—a shoe repair shop in the St. George Staten Island Ferry terminal—to Margaret’s life with Frank Ricciardi, her passion for Italy, and her devotion to art. 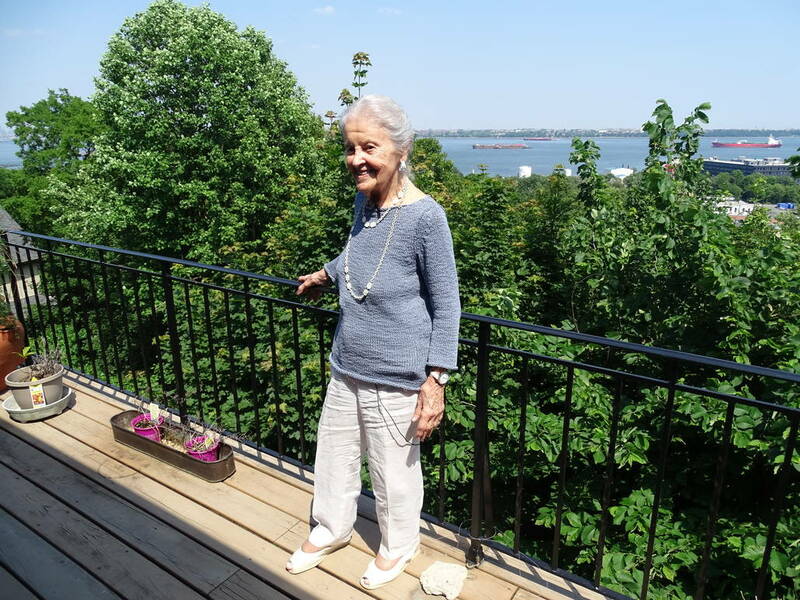 The view from her window is so wide that it reaches the “symbolic” Verrazzano Bridge; we are in Margaret Ricciardi’s home in the Ward Hill section of Staten Island, in what she calls her “dream house.” How many dreams have these walls seen come true? We will find out little by little during our conversation, but we guess right away by looking at her posture, her eyes, her sweet confidence, and at the elegant femininity of the décor, where each detail, both traditional and contemporary, has been taken care of by her. It’s in this 1950s ranch immersed in a green landscape that Ricciardikeeps working on abstract, expressionist oil paintings depicting both landscapes and people. The house is full of emotions and holds the memories of this woman, wife, mother, grandmother, and artist. 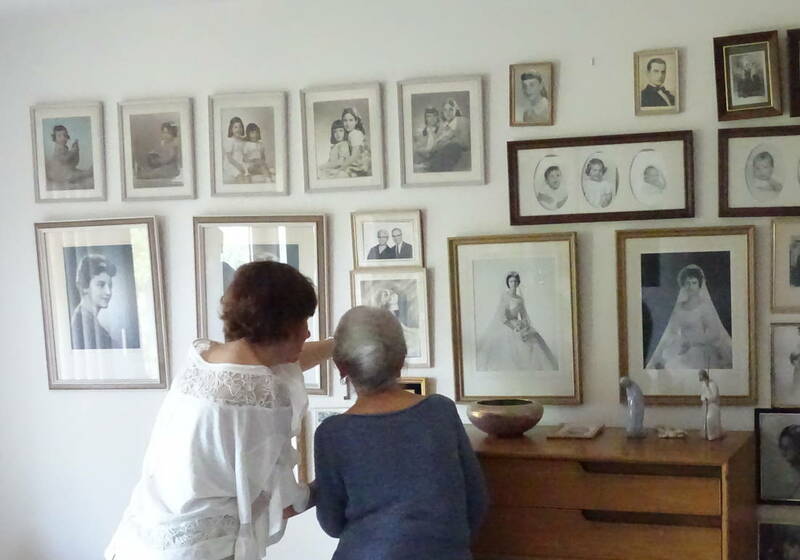 Laura accompanies her grandmother through her memories for the videao we have put together. Laura: Grandma, you were born in 1914 in Brooklyn to Giuseppe and Philomena (Maffucci) Della Badia. 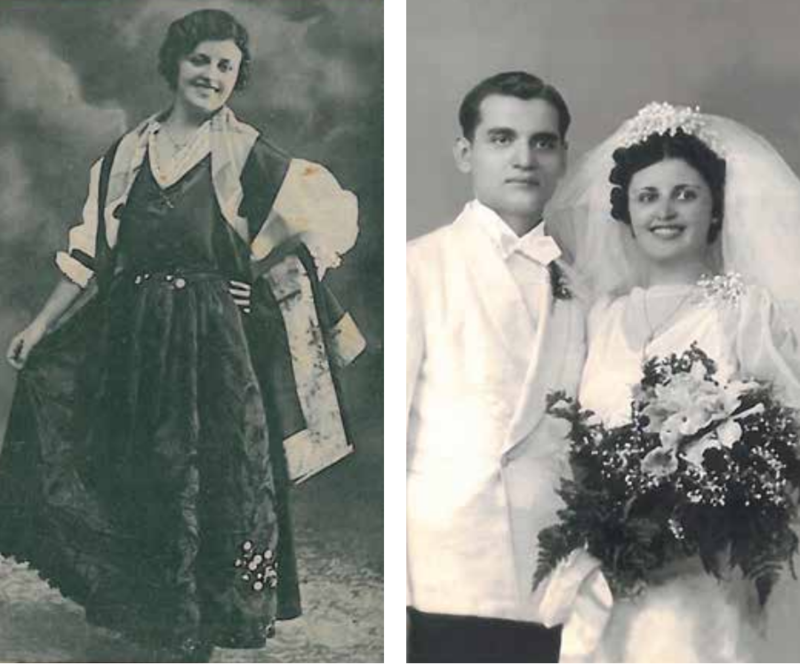 What was life like at that time in Brooklyn in an Italian community? Margaret: We lived on Central Avenue in Bushwick. My mother and father had rented an apartment upstairs over this German bakery. We could smell all the goodies that were being baked, and once a week, my mother would take her little bag with the cash and go down and buy some of the buns that were left over from the day before. This way, she would get more of them, almost double. Laura: Tell me how your parents came here. Margaret: Well, my uncle—my mother’s brother—came first. When anyone came from Calitri, they would easily find a family from that town that would rent them a room. He met the man who would become my father and found he was a very good, kind, and thoughtful person. In those days it was about matchmaking, so my uncle would write to his sister and say, “there’s this terrific man here, and I showed him your picture, and he really liked what he saw.” My father started writing to my mother, and she would answer the letters. That went on for a little while. Then my father asked her to come to America because he thought they would get along very well. He had fallen in love with her. He wanted to marry her. My mother wrote back. She gave it a lot of thought, and she kept refusing the boys in Calitri who were asking to see her. She didn’t like staying in the town. She told my father she would come on the condition that he would send her a round trip ticket. Laura: So it went that grand-grandma came, and married Giuseppe. And was she happy? Margaret: She was very happy. She had three daughters, and I was the one she used to call the troublemaker because I was always planning what we should do and where we should go. Anyway, we grew up. The Calitrani [people from Calitri] used to have a picnic once a year, and they would come from all over, in New Rochelle, Brooklyn, wherever. We used to meet a lot of the boys there. My older sister met her husband there, but he wasn’t from Calitri, so that was a little disappointing to my parents. I too used to see my husband there. He had come when he was 16. He was born in Calitri. Laura: Tell me about your first date with grandpa. Margaret: Yeah, I was known among the Calitrani because I always walked with my head held up high. The guys wouldn’t come near me, but when Frank asked me to dance at the picnic, and then he asked me if he could have a date, I said OK. We had a date to go to Radio City in New York, and that was terrific because you didn’t get to the city too often. It was too expensive. We dated for two years. Then we got married on July 11th, 1937, and we settled on Staten Island. Laura: Was grandpa already in the shoe business? Margaret: Yes, he had bought the first shop when it was on Stuyvesant Place on Staten Island. He became quite well known with the orthopedic doctors because he took a course in orthopedic alterations, and he knew how to fill out, to the letter, whatever prescription they came in with. He knew what to do. Laura: My mother told me grandpa was very proud of the fact that he didn’t have much of an Italian accent. Laura: Did he really want to be an American citizen? Was it because there was a stigma attached to being an Italian American? Margaret:He didn’t feel that stigma because he didn’t act that way. The problem with some of the Italians who came here was that they never changed. They never accepted any of the customs that you usually accept when you’re in another country. He was quite educated. He had two uncles who were priests and they used to teach him and gave him an education far beyond the high school diploma that he would have gotten if he had stayed in Italy. Laura: What did Calitri look like when you went there? Margaret: The mountains and the view impressed me. My mother-in-law had a balcony. That’s what I wanted to have. You walked out on the balcony, and you could see forever. You could almost see the next town! It was a great view, and I remember turning to Frank and saying, “when we build the house, I am going to build it with a view.” I never thought we would get that dream and have the water besides. It was beautiful. I remember we also went to Sorrento, and we stayed there for about four days. It was terrific, the people were so warm and hospitable. I really recommend taking a trip to Italy for everyone. You will fall in love with it, and I am sure you did when you went. Laura: You were determined, for a long time, to further your own education. I remember when I graduated from high school, you were also getting your high school equivalency. After grandpa passed away in 1983, you quit the shoe store and fully committed yourself to art classes at the College of Staten Island. You received your bachelor’s degree in 1986 and continued taking classes for the next 31 years. But where else did you study? Margaret: I went to Italy to the Lorenzo de’ Medici School in Florence. I went one semester. Then, after a year and a half, I went another semester. The first time I went, I took painting, but they also had sculpture at the Lorenzo school. The second time I went, I concentrated more on my oil painting than on sculpture. Margaret: Oh, I think I did painting for probably two years. I don’t quite recall. One day, a teacher came into the painting class and suggested I try sculpture. Gradually, I went from stone to more complicated pieces with wood. Then I started to buy my own material and ordered some marble and Italian alabaster. Laura: You know, my sister says the reason you have been here for 103 years is because you don’t want to miss anything. We move away from the set of our video conversation, remove the mikes and we walk through the house with her. Margaret shows us the traditional costume from her home town and explains she’d like to donate it to a museum. We walk together on the long terrace. She offers us some chocolate. Then she lets us visit her studio, located in a large basement. 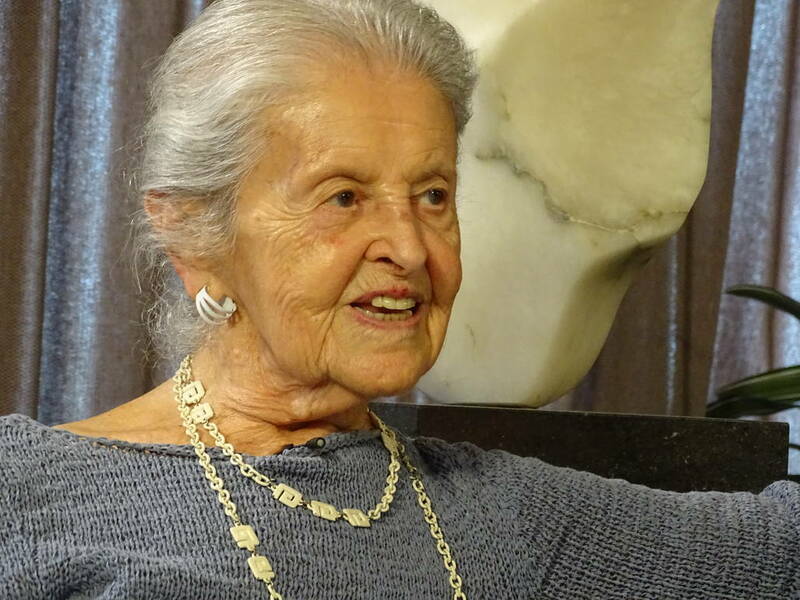 She still works there today, surrounded by dozens of paintings featuring the different landscapes of her life and told through the colors of her love for art and for Italy. Margaret Ricciardi has had a number of solo exhibits, including at the Snug Harbor Cultural Arts Center and CUNY’s College of Staten Island. 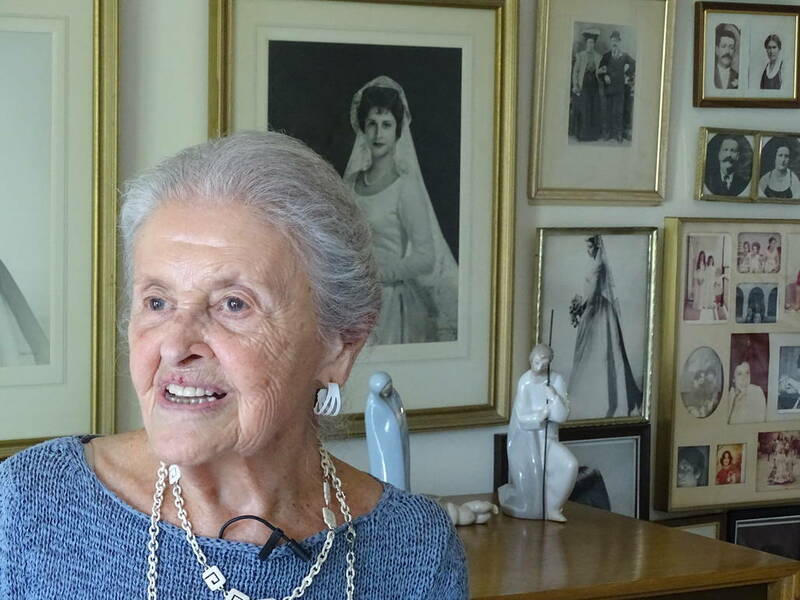 In recognition of her Italian heritage, and in memory of her husband Frank, she established the Margaret and Frank Ricciardi Scholarship, enabling Italian majors at the College of Staten Island the same opportunity of study abroad that she received. 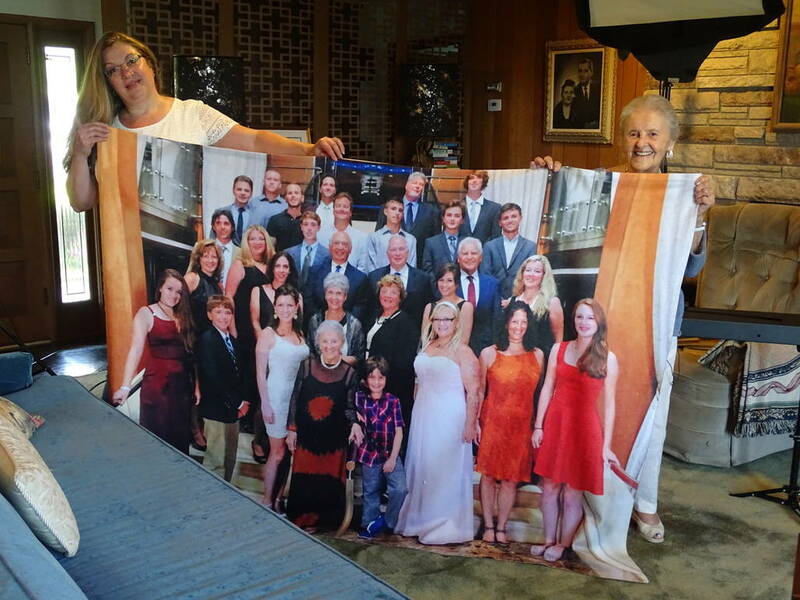 Additionally, since 2011, she has provided an annual award to a graduating studio art major. In 2006 she was honored with the Award for Cultural and Artistic Accomplishments, at the third annual Festa dei Campani nel Mondo, by La Federazione delle Associazioni della Campania, USA. Her painting, Twin Towers, was accepted for exhibition by the Museo dell’ Emigrante in Naples. In Spring, 2017, Margaret Ricciardi received an honorary doctorate from the College of Staten Island for her longstanding commitment to her craft. 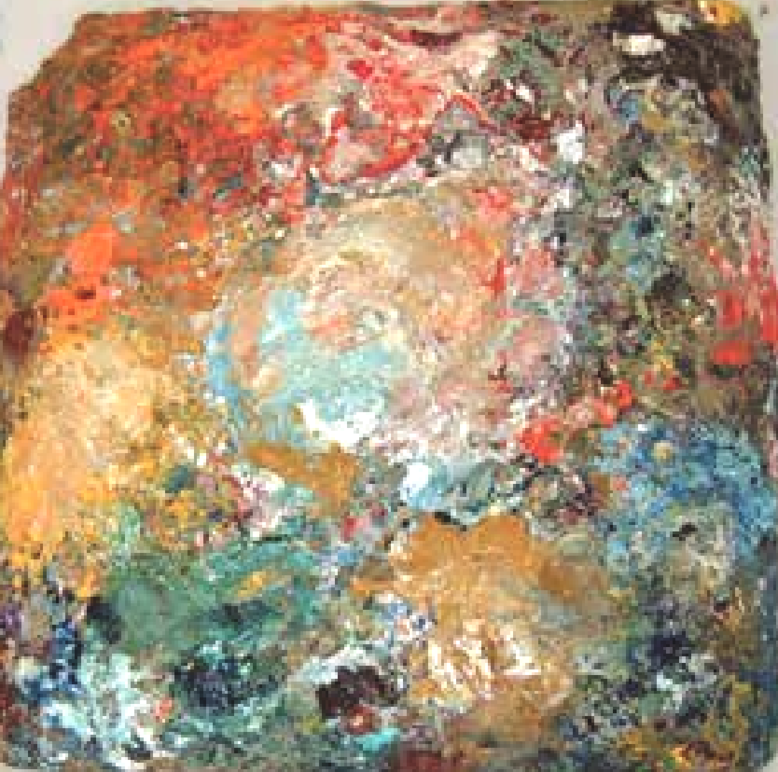 Maggie’s palette (below) was created over her entire painting career of 30 years. Weighing more than 25 pounds, it is a work of art in itself. 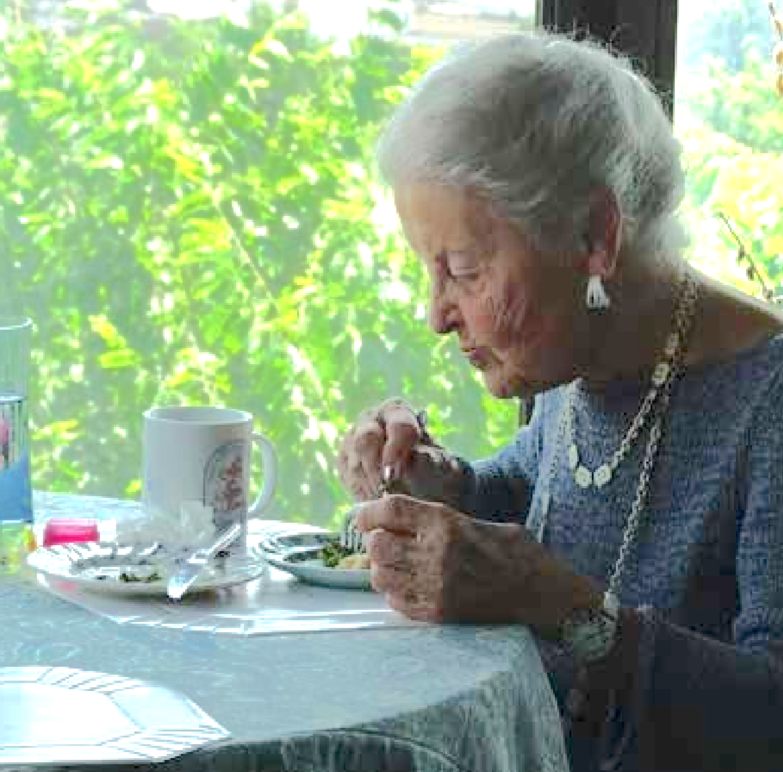 ABOUT The second season of our video project will air this fall "Grandparents & Grandchildren in Italian America"
This project explores the relationship between different generations of Italians in America and is narrated firsthand by the protagonists. 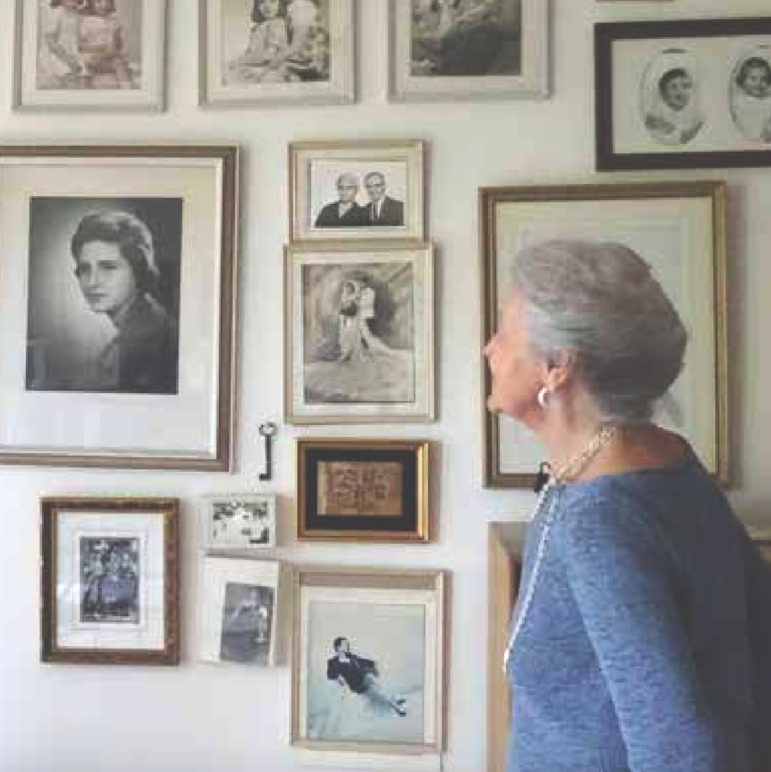 Grandparents and grandchildren tell their stories in a conversation that touches on central issues concerning Italian identity. Grandparents & Grandchildren in Italian America is co-produced by i-ItalyTV and ANFE and is sponsored by the Ministero degli Affari Esteri e della Cooperazione Internazionale, Direzione generale per gli italiani all’estero e le politiche migratorie.